How is it possible to find time to read when you’re a busy mom? The first few years I felt like I barely had time to read my grocery list let alone a book. I felt like a victim of parenting and treated my ‘mom duties’ and children like they were ‘in the way’ of what I wanted to do. In the past few months, I had a mindset shift. I stopped saying “I don’t have time” and when someone asked me how I was, I worked my hardest to not just respond with ‘tired… very tired’. Now don’t get me wrong. Being a mom is tough. I am tired, I am overwhelmed, and I do feel behind often. But that’s not all I am and not all motherhood is. 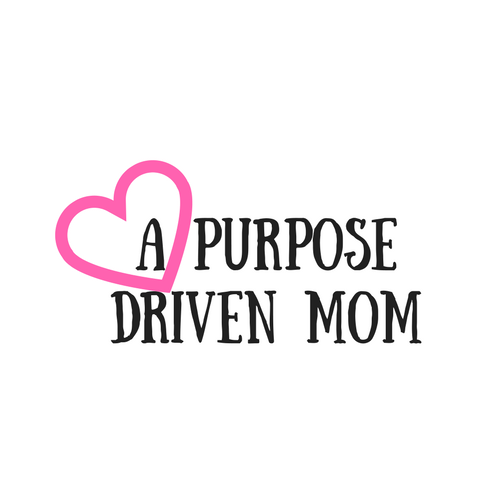 So if you’re like me and want to be ‘more than mom’ and work on your goals, I want to encourage you that you CAN do that. You can work on that project, take a shower, or read a book. It might not look the same as it did pre-kids and it will never be perfect but it IS possible! In November I made a goal to read more and was super excited that since then (in just 3 months), I’ve finished 12 books! That’s a more book than I read in all of 2017 when I had my son. My first suggestion when it comes to finding time to read is to create a routine and habit trigger. A habit trigger is something you do directly before the habit you want to develop. It usually is something that you already do. If, for example, you want to read right before bed, your habit trigger might be brushing your teeth before bed. If you want to read when your kids take a nap, putting them down for a nap is your trigger. If you don’t plan out when in your day you want to read, it’s not going to happen. Our days are so go-go-go all the time; things that are not strategically planned will get skipped. Now I’m not saying you need to say ‘every day at 1:35 I will read’ because we know that won’t happen but, I suggest giving yourself a suggested time and use time blocking. I make it a goal to sit and read for at least 10 minutes 2x a day. After my 17-month-old goes down for a nap, my three-year-old and I have reading time. I read a chapter of my non-fiction or self-development book and she does an independent craft, color, play play-do or work on a puzzle. I like to read non-fiction when she’s around because, if I have to stop to help her, then I can easily get back into what I am reading. It’s also a great pick me up in the middle of the day when I know I need a boost. Another great time to read is right before bed but, I don’t recommend that you read non-fiction. I suggest picking an exciting fiction book that will keep you awake and be just for you. In January I did a ‘no TV’ month for myself and it was incredible! Sure I missed watching some great Netflix shows but, after the kids went to bed and I worked, I would sit down and read and get totally lost in a book. Before, when I was watching more TV, I felt like I ‘never had time to read’ when in reality I was just prioritizing mindless TV instead. If you’re struggling to even imagine sitting to read like I’m describing, let me encourage you to start to use audiobooks! I don’t love fiction books on audio personally but can definitely get into non-fiction! Between non-fiction books on apps like Audible, Hoopla, Scrod or Overdrive and podcasts, I feel like I spend so much of my day fueling my brain! Check out Audible if you don’t have a membership! My link will get you 2 free books and a 30-day trial! Audio is a great way to get in books because there really is a ton of time to listen. Every time you are in the car can become your own little university! I have learned so much with self-help audios while driving! Even if you only have a 10-minute commute to drop the kids to school each day that’s 10 more minutes than you were getting before. Another way to sneak in reading time is to use an e-book or an e-reader. I love to hold an actual book so my preferred method of reading is to do it rationally but I’ve gotten so many books to read on e-readers. When I was up late nursing my son, I put my phone on ‘bedtime’ or dim mode and could read a few pages, when I am waiting to pick up my daughter from school I can spend a few minute reading instead of scrolling social media, if we’re waiting in line at the doctors office or the kids are playing at the library or mall, I can easily sneak in some pages while they play. We often think that if things don’t look perfect and the way we picture them in our heads that we shouldn’t even bother but I want to give you permission to get rid of that type of thinking. Forget that you want things perfect and work to make things workable for your season of life. Don’t give up on things and hobbies that make you happy but instead, find ways to fit them into your life in a way that makes sense. It is really important to me that we create lifelong readers with our kids. I grew up loving to read (books were my sanctuary for a long time) and still love to do it. And while I know I can’t force my hobbies on my kids, I want to do my best to encourage them to read as much as possible, to love to learn and question, and to see reading being modeled for them. When my daughter was a super tiny newborn, I would read from my personal development books out loud to her each day. We read every single night before bed and numerous times during the day. And my daughter knows now that after her brother goes down for a nap, it’s reading time. These are all habits you can create with your family. If you start now to make it the norm that after dinner, instead of all retreating to separate rooms or going right to the TV, everyone gets a book and does 15 minutes of reading, it can become the norm. I’ve been reading a lot lately about the power of the read-aloud for all ages and am looking to incorporate more read aloud in our day. We just picked up our first set of chapter books from the library (we’re reading the Mercy Watson series) and now I read a chapter a day after breakfast. Work with your kids to have them reading before the TV or electronics get turned on every day. In the beginning, it will seem like so much more work for you but know, as the years go on, it can and may rub off on them. Even at 3 years old my daughter knows the routines and what we do during reading time. My 17-month-old son knows that if he grabs a book and brings it to me, I’ll read it. You can also create a morning basket where they can pick books out for the week and you grab them after breakfast. Each kid gets the chance to grab books that they want and you can read a few aloud each day. Encourage your kids to start reading aloud to them as well. Even though my daughter can’t read, I’ve taught her that she can look at a story and make up the words just fine. Repeated reading is another great way to get them into a reading habit. The more that you read a story with your kids, the more they remember the words. After months and months of reading Old Hat, New Hat my daughter can ‘read’ the whole thing without knowing the words. Our kids are adaptable and capable of much more than we give them credit. Decide what you want reading to look like in your home and work to create the structure around it. It won’t always be perfect, you might not always get time to read, and you’ll probably get frustrated. But don’t let that entire stop you from doing something that will fill your cup and make you feel good about taking care of yourself! To make your reading habit fun and stick, start with creating a list of books that you want to read, get recommendations from friends or use Good Reads to see what people are liking (add me as a friend on Good Reads!). When I first got back into the habit of reading I had to test out a few genres to see what I liked. I remember loving young adult novels but that really isn’t what I gravitate towards. Check out the top lists and read 1-3 in that genre before decided whether you think that’s where you want to invest your time. And don’t be afraid to stop reading a book! I can’t tell you how many books I try so hard to finish just because I started! This holds back my reading goals and makes reading so much more of a chore again! Speaking of reading goals, make sure you make some! Think about how much reading you are doing now and make a realistic goal for yourself. If you haven’t read a book in 6 months, making a goal to finish 1 book in a month is HUGE! If you’re already reading a book a week, try to double that! Did this post give you some ideas and motivation to get reading? I hope so! PIN it to come back to later when you feel time trying to steal your joy again and put In the comments what book you are reading now!